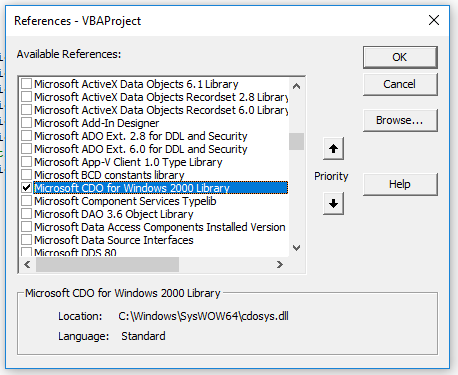 Sending email via VBScript or VBA using CDO is easy to do, but the correct configuration to relay through Office 365 is confusing to say the least and it took me me a while to find the correct settings. 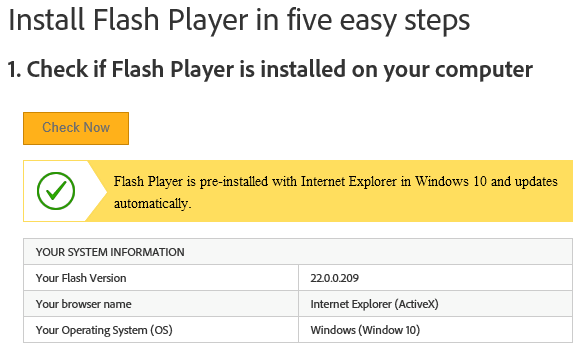 .Item ("http://schemas.microsoft.com/cdo/configuration/sendusername") = "[email protected]"
Use the following sample code…. The account that you use must have at least an Exchange Online license. You will only be able to send from addresses that account has send as permission for or an alias of that account. It would probably be a good idea to use an account dedicated for sending SMTP because the password is being stored in clear text. 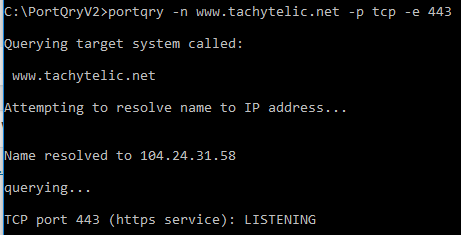 Your Firewall or your ISPs Firewall may block outbound port 25. I’ve left the code for TLS in-place above but commented out, in case anyone else wants to have a play with it. 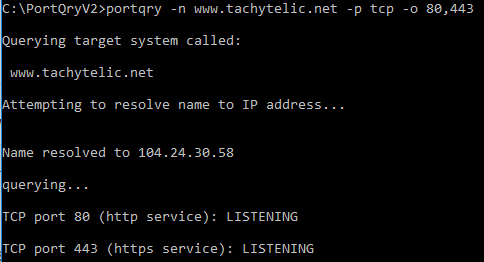 I hope this helps, I spent ages trying to relay through Office 365 over TLS with VBA, but SSL works just fine. 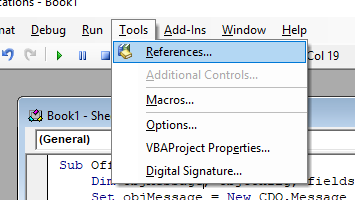 Being able to comment a block of code is a standard operation in any IDE, but for some reason the Microsoft Office VBA Editor does not include that functionality by default. However, the functionality is there and waiting to be used, it’s just hidden in the “Edit” toolbar which is not visible be default. Open the VBA Editor (Alt + F11). Right click anywhere on the toolbar.